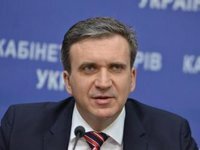 Ukrainian Minister for Economic Development and Trade Pavlo Sheremeta will perform his duties until parliament accepts his resignation, Justice Minister Pavlo Petrenko said. "The constitution says that it is the Verkhovna Rada that decides on the resignation of a government member, and until then Pavlo Sheremeta is an acting minister with a submitted resignation," Petrenko said at a briefing in Kyiv on Thursday. While commenting on Sheremeta's resignation, he said: "I have only positive assessments of my colleague Sheremeta. It's true that the government's work isn't easy today, as the entire system is a huge, non-flexible, bureaucratic machine." "Sometimes, I feel like submitting my resignation too, but there is no choice for us now. We'll have to crack down on that system," he added.